Violence – How far do you go? My books are set in the Anglo-Saxon period. The tenth century was perhaps not quite as “dark” as earlier times – after all Byrhtnoth lived through the reign of Edgar the Peaceful, King of England from 959 to 975. I like to think that he was responsible in some part for that. In a book about this period readers expert a certain amount of violence, it might be why they read that type of book. Big men with swords, fighting other men with swords, or axes, probably in the shield wall of some major battle. It might even be a battle that is mentioned in history! I’m afraid I don’t write about that. I knew when I started that I couldn’t write about that. With that confession my potential readership has dropped by 90% but better that, than people are disappointed. There is violence in my books. Yes, my hero is a big man with a sword – or rather searching for a sword. Yes, he kills people, when necessary. But he has not experienced any big battle. 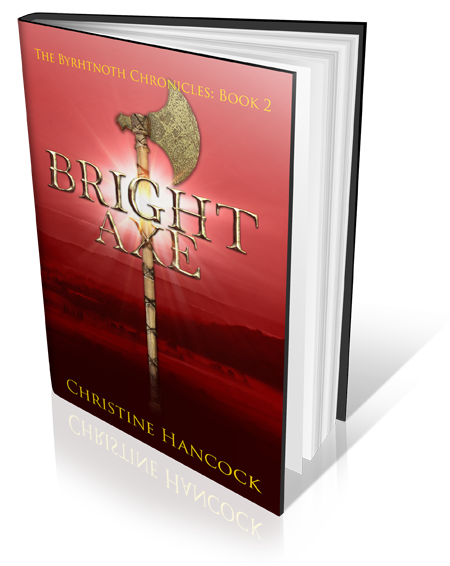 I was expecting that in book two, then I looked in the Anglo-Saxon Chronicle – no battle in 947 – perhaps next year. What I want to talk about is violence against women. There have been a lot of complaints about depictions of violence to women, especially on television. Every police drama, thriller etc involves the murder, or attack on, a young, attractive woman. It would seem that the safest person to be nowadays is an elderly person! I don’t tend to read that type of book, but I assume they are the same. In historical fiction most women appear as the feisty heroine in a romance or as the “love interest” of the hero who fades away when not needed by the plot. And yes, before anyone complains – I know some books aren’t like that. So, what have I been writing this week? Violence, against a woman. It took me a long time to work out how to tackle it. Without going into the details. A woman is abducted by nasty men, abused, and then rescued. I wanted to concentrate on the effect this has on all involved, especially my protagonist. It is at the mid-point; it will influence the rest of the book. I hope I have struck the right compromise. The worst part about it was that I had to live through what she suffered. I had to work out exactly what was done to her, when, and by whom. It was not very nice. I didn’t have much of an appetite for dinner that night. It is done now. I can carry on with the book. All this is my excuse for not reaching my target this week (only 5503 words), together with a trip to the hospital with my mother, writing a review, a birthday (not mine) and Valentines Day. Funnily enough it was on Valentines Day that I wrote that violent scene – and no it has nothing whatsoever to do with the state of my marriage.